I am in the process of ordering Highlight RTI (H-RTI) equipment, mainly for use in museum contexts on portable and fixed artefacts/material surfaces. Happily, I have the funding to assemble quite high quality kit -- which is simply brilliant, thanks to the Marie Curie Actions COFUND program and the Dahlem Research School here at Freie Universität. 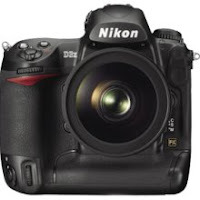 In researching the best camera for the job I am leaning towards Nikon D-SLRs instead of Canon (though Canon is perfectly fine for RTI, the camera choice of RTI experts Cultural Heritage Imaging). I was previously using the Nikon D3X for dome RTI as part of the University of Oxford's RTISAD project. The D3X (right) is the fabulous beast I also took to Qubbetel-Hawa*, Aswan for the SCA / University of Jaén project, as mentioned in a previous post. The D3X is a real workhorse and certainly robust enough for the rigours of fieldwork in Egypt and it has provided superb results. But the model is now about 3 or 4 years old, puts quite a hole in the ol' wallet, and has more bells and whistles than I need for tripod-mounted shooting. The D3X is good for action shots, and sports photographers, etc. love its speed, but archaeological artefacts tend to hold quite still...mind you, if an artefact does start moving...it's probably time to drop the camera and run!! 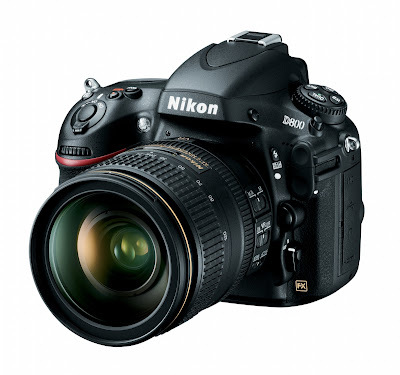 Anyway, what is also persuading me to go for a Nikon is that they have just come out with a new model: the D800 (and the D800E). This is currently one of the best cameras in the world, offering a whopping 36.3 megapixels and major improvements on the ISO front, as this Nikon D800 ISO comparison demonstrates. For RTI, capturing surface detail as accurately as possible is the name of the game (recording empirical provenance is critical, too: see Digital Lab Notebook). Super high quality capture of material surfaces means avoiding cameras with an anti-aliasing or low-pass filter. This filter, as I understand it, is designed to blur the image slightly to avoid things like moiré**. This is described in an easily understandable way on this website. The upshot is that the D800 will blur the image slightly and the D800E will not. "The benefits of the D800E are also most noticeable when working with the RAW (NEF) file format" and this is the archival-quality-future-proofing-sustainable file type one should shoot in doing RTI to get crisp details of surface morphology. Thus, the D800E (3.219,00 €...a hefty price tag however you slice it) is a camera that is well suited for RTI, unless you can afford a big gun like the D3X (5.900,00 €) or the new D4 (5.929,00 €), or you prefer to go with Canon (CHI nod approvingly, I'm sure). * Scroll down on diary entry for 23 FEB 2012. ** NOTE: I am NOT a professional photographer (yet) but Nikon staff, online forums and colleagues have been super helpful with advice. And you, dear reader, are always welcome to add constructive comments on, corrections to, and additional insight into the info presented here!